Cold open was brutal and awesome. The Five-timers club seemed very awkward, as if it was a last minute replacement for something they'd actually rehearsed. Candice Bergen especially but really all of them had trouble reading the cards. The other political sketches were good. The Midterm ad really hit the nail on the head as far as how I'm feeling. The Political Musical had me laughing out loud, as did Hucka PM. Teacher Fell Down was one of the more bizarre sketches I've seen in a while and I loved it. Was it me or did it seem like they had a limited cast? Like more than usually the same people kept showing up in sketches and a few of them were hardly shown at all. I don't know who Maggie Rogers is and after seeing her I still don't. I got a bit of a Joni Mitchell vibe from her but that's about it. Am I just old? Good to see Big Papi on WU but I was kind of hoping some of the actual players would make an appearance. I would actually enjoy seeing Pete every week on WU. He cracks me up. The spin machine is spooling up over Davidson’s comments on Dan Crenshaw’s eye patch, a souvenir from Crenshaw’s 10 years of military service. Which is unfortunate as Crenshaw will get a bump from the publicity and he appears to be a pretty solid Trumpist on his campaign website. I enjoyed the political sketches, even though the musical one was...weird. The shaking Democrats trying to predict confidence, yup. Oh, Pete. That was very polite of you. I also enjoyed him insulting himself and his looks. I actually have heard of Maggie Rogers, so for a brief period I can feel like I'm ever so slightly with it. McKinnon managed to hold the cold open up more or less by herself, which was amazing to watch. I have never watched Laura Ingraham so I don't know how that went, Cecily's Pirro was pretty awesome, and she's been breaking out of samey characters lately, which is nice. I really really liked Benihana, except for how shouty he was for no apparent reason as the sketch continued. I really liked Vanessa Bayer's Jewish Kid too, so maybe I just like that kind of bit. Pug Wigs had good characters, too. It was just a string of dogs and punchlines, but it was presented better than the usual talent show type sketches that usually occupy this role, and I liked it better than the Adopt-a-Dog version from a year or three ago. Brittainy was good, and it was nice to see Villasenor actually doing a character rather than playing herself, which I like too, but I want her to DO GREAT STUFF that I know is there, somewhere. I thought WU in general was weaker than usual, there seemed to be a lot of chuckles and breaking, but it's been pretty good lately so maybe they were partying this week or something. Maggie Rogers. This century's Edie Brickell? Unfair to do art-math like that, but the soulful suburban-hippy thing is well-trod ground in the US. Maggie Rogers first got known through a viral video two years ago; she was doing her Masters in music at NYU, and that program invites current musicians to do Master Classes with the students; Pharell Williams showed up for one such master class and was visibly blown away by the song she brought in, and a record deal was procured for her right quick. I enjoyed the political sketches, even though the musical one was...weird. Maybe you have to have seen that musical to get it. I've definitely been to a few off-off-Broadway "omg this is so awful, how did this get made, oh I see the lead actor is also the producer is also the director" trainwreckcs. The Maggie Rogers/Pharell video was a treat, thanks for sharing! I think the musical was two good ideas smooshed together and the sum was less than the parts. I think there's definitely something in both the political musical vein, and another one in the "actors who write their own parts" part of theatrical life, but I don't think they have the chops to effectively combine these two threads. Vulture’s ranking of host’s recurring characters is highly suspect, but it’s interesting that only 11 hosts have managed to even have a recurring character. Hey cool, I'll have to track down the other appearances of Adam Grossman. Two instances of Theodoric of York! "Hey, who's the barber here?" I loved the Benihana sketch mostly because I am a sucker for sketches where the players can't stop laughing. The midterms ad is all over my feeds today so, yeah, that resonated. But man, I have tried so hard to give Michael Che a chance, because sometimes he is really funny. But saying he doesn't vote right before making yet another tired joke about progressive white women? Cmon. I'm pretty much over people who have critiques for everyone else but don't even do the bare minimum themselves. "I'll have another 'Pete Davidson' ... We all it's got a lot going on, but it gets the job done." The episode was decent, but the one sketch I'm still enjoying on Monday morning is Teacher Fell Down. Man, that Pete Davidson segment on WU was really bad. I mean, are we really just insulting people based on their looks? What a lazy segment. I don't care that he tried to mock himself at the end - that doesn't make up for it. And he mocks himself all the time, so it's not like that's helping. I dozed on and off through the show, and watched it again partially on on-demand, but still didn't find much of it funny. I kinda enjoyed Pug wigs though, especially the Tina Turner. If anyone else watched it on Comcast OnDemand, I'd like to know why all the commercials were promos for the Today show. 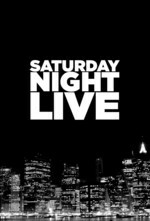 In my sleepy stupor, I got confused as to whether they were fake SNL commercials. They just kept repeating over and over and over. I thought the cold open was very solid. I really enjoyed Hucka PM, which had some impressive stunts. Nothing else impressed me all that much. I looooooved the musical sketch and think it may have been my favorite of the show. It really nailed a specific sort of earnest, clueless narcissism. Man, that Pete Davidson segment on WU was really bad. I mean, are we really just insulting people based on their looks? What a lazy segment. At the close, his safety-orange shirt had a massive logo on the back and he conspicuously turned away from the camera, which didn't cut away. So, I think at least part of it had to be that he wanted to make sure we audience out here on the other end of the wire were looking for him, wink wink. Beyond this, I'm really not sure where his talent lies. I enjoy Saturday Night Live while knowing that it's never going to get edgy or very experimental, but I now wish that every week it was 90 minutes of "Teacher Fell Down"-style comedy. Other recent sketches that tickled the same fancy: Adam Driver as Abraham H. Parnassus and Emily Blunt in the all-hamster production of Who's Afraid of Virginia Woolf. I have one of those, and it's got a little Political Musical in it. Pug Wigs had a weirdly Interdimensional Cable vibe to it. I fell asleep at some point during the episode, but I'm pretty sure my favorite thing about it is that Masterclass link! That was a delight to watch and now I'll be sure to catch her performances when I finish watching. I thought the episode was okay. I'm glad Melissa got a couple of good characters to sink her prominent teeth into. And yeah, I love watching both Pete and Leslie crack up. Pete's desk game wasn't quite so "on" this time, and he chalked up a blown save on that Crenshaw joke, and it was interesting to hear him say "nothing to see here" about his breakup with Ariana. The musical guest, it took me a long time to put my finger on who she reminded me of: Natalie Merchant if she was one of the Haim sisters.